Recently Porcelains and Peacocks had the pleasure of meeting Leonard Greco Jr. of the artfully esoteric blog Babylon Baroque, www.babylonbaroque.wordpress.com. He had come on his first visit to San Francisco along with his spouse, David and their four dogs. 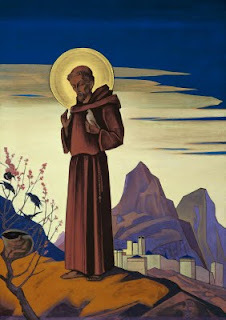 Len reminded P&P that Bagdad by the Bay was originally named for Saint Francis of Assisi, the patron saint of animals. Francis was born Giovanni Francesco di Bernardone (1181-1226) to a rich textile merchant in Assisi. He became known as Francesco perhaps because of his father's commercial success in France or in honor of his French mother. Early in life he enjoyed the pleasures of wealth and position. He gradually became disillusioned and abandoned it all to choose a life of poverty and the spirit. 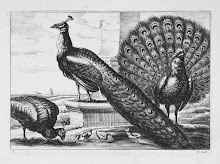 Francis is particularly remembered for his love of animals. Fioretti di San Francesco, Little Flowers of St. Francis tells the legends of the saint preaching to a flock of birds and convincing a lone wolf not to kill the people of Gubbio. Russian painter and writer Nicholas Roerich (1874-1947) who was influenced by both Western and Eastern cultures shows an Asian tinged Francis speaking to his winged friends. 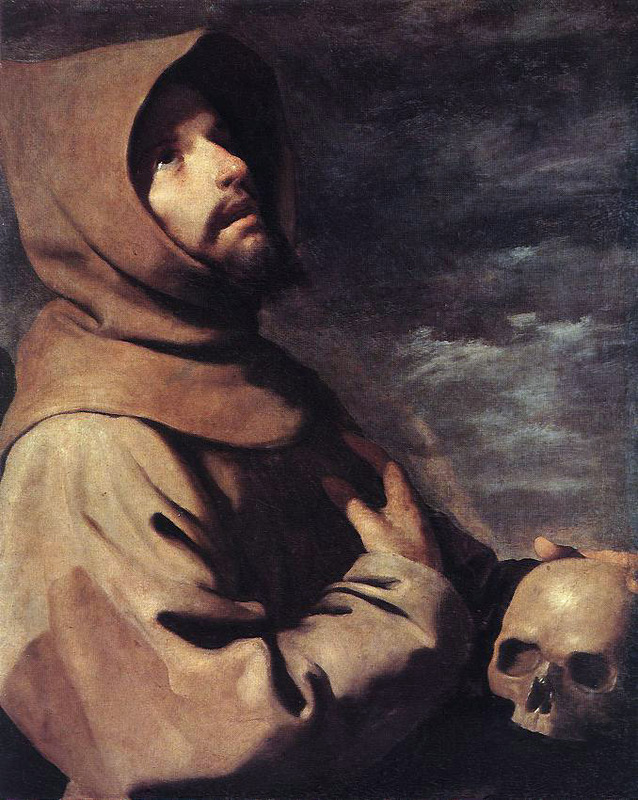 A Chiaroscuro styled saint is rendered by Spanish painter Francisco de Zurbarán (1598-1664). 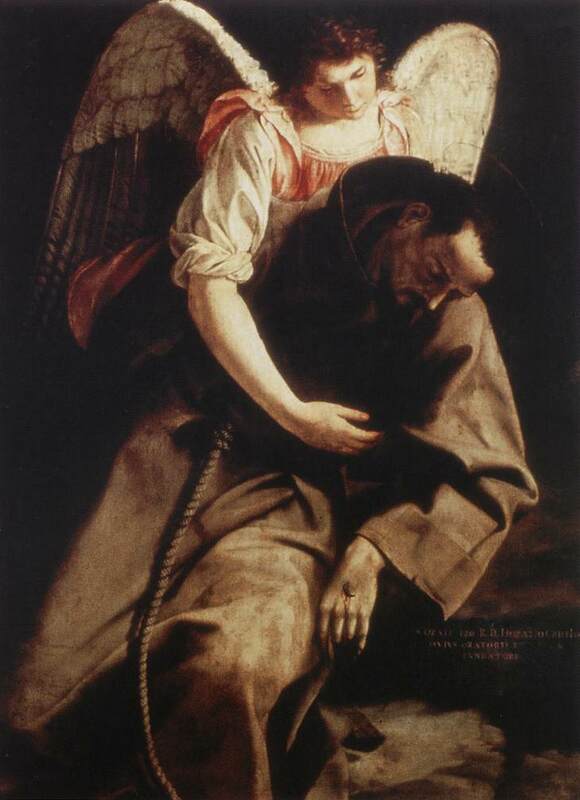 Like Zurbarán, Italian Baroque painter Orazio Gentileschi (1563-1639) was a follower of Caravaggio's strong contrasts between light and dark as depicted in his St. Francis and the Angel.